Referencing her quintessential process of layering and erasure, Baltimore-based painter Carolyn Case’s solo exhibition, Second Thoughts, alludes to the artist’s constant push to rework, re-do, and reinvent the surface of her canvases. 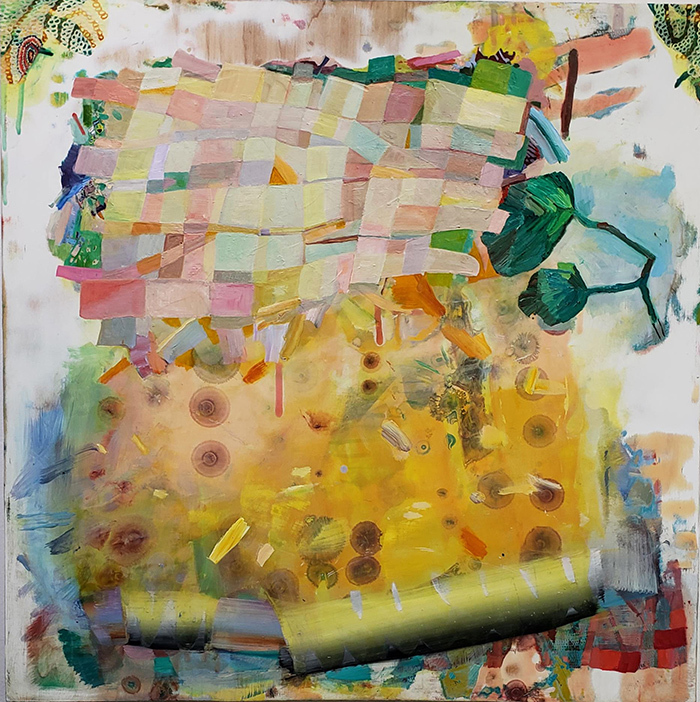 Featuring more than a dozen paintings with such titles as Sunspot, Gingham Heart, and Drive-In Morning, Case frequently organizes her labor-intensive paintings around a simple phrase or idea. These “conceptual totems”—an object as small as a kitchen utensil or a place as theoretically expansive as her studio walls—always refer back to the larger experiences of life lived, and the many different kinds of workspaces everyday experience requires. Condensing wide-ranging visual citations into compositions that obscure precise imagery for a painterly, filmic sensibility, Case’s complex abstractions are like tightly woven tapestries, circuitous topographical maps, or large nesting dolls with many layers. In this new body of work, Case reveals her process as one of constant unpacking, where the edges of her paintings and the forms within materializes as both entrances and exits. Originally from California, CAROLYN CASE earned her MFA from MICA's Mount Royal School of Art in Baltimore, MD, and her BFA from California State University in Long Beach, CA. Her solo exhibitions include Loyola University, McLean Projects for the Arts, and the Art Registry in Washington D.C., and upcoming solo exhibitions at Western Michigan University and Lux Art Institute. 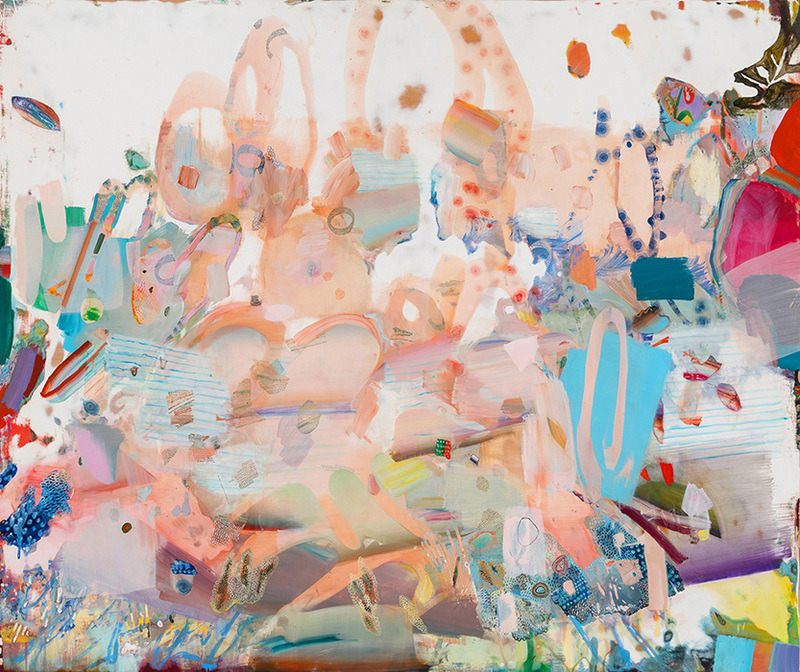 She has participated in two-person and group exhibitions at the Delaware Museum of Art, A.I.R. Gallery, Brooklyn, NY, The Parlour Bushwick, Brooklyn, NY, Joyce Goldstein Gallery, Chatham, NY, Reynolds Gallery, Richmond, VA, and John Fonda Gallery, Baltimore, MD. Residencies include the Virginia Center for the Creative Arts, the School 33 Art Center in Baltimore, the Vermont Studio Center, and the Kanoria Centre for the Arts in Ahmedabad, India. Reviews include ArtNews, the Baltimore Sun, New American Paintings, Metro Weekly, and Two Coats of Paint. She has received the Bethesda Painting Award and is a 2018 and 2017 Janet and Walter Sondheim Artscape Prize Semi-finalist.